Purchase my strip building book at Amazon and Kindle. 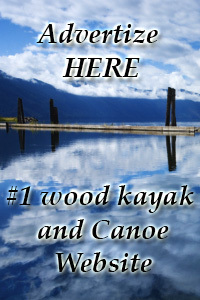 Building a wooden kayak, canoe or stand up paddleboard is an adventure all its own! New techniques and processes are inevitably discovered while you craft boat after boat. Honing skill and know-how over multiple boats is one way to get the high quality outcome you desire. Or, try guessing your way through the less-than-detailed instructions provided by other industry websites. Instead, we recommend learning the full scope of dirty details from someone who has been where you are now. At Heirloom Kayak, we believe details make the difference! No secrets will be spared, as you learn step-by-step from Heirloom’s Wooden Boat Craftsman, Robert Lantz. Interested in learning online right here and now? That opportunity is here.